I’ve since updated the pattern to include MORE SIZES! Check out the post with more sizes HERE. I’m sharing another free pattern with you today! 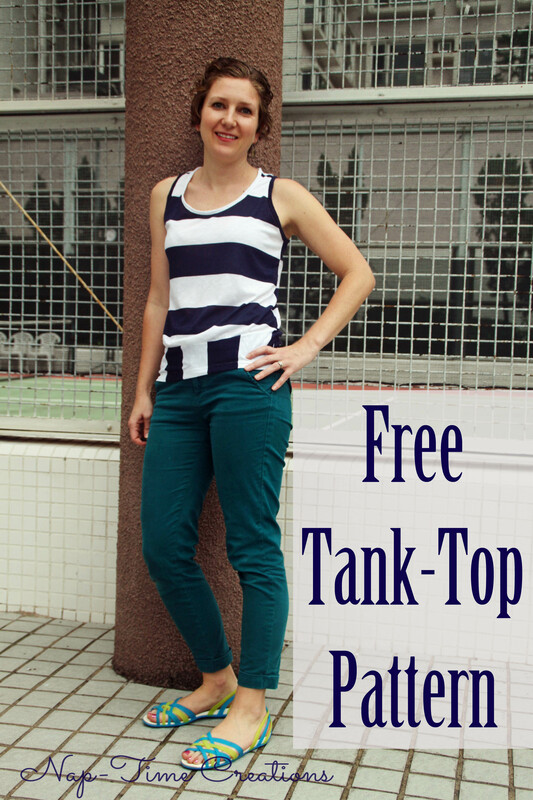 This one is a free tank top pattern in size small. When I make up a pattern for myself, it’s not all that hard to share it, so that’s what I’ve been doing more of lately. 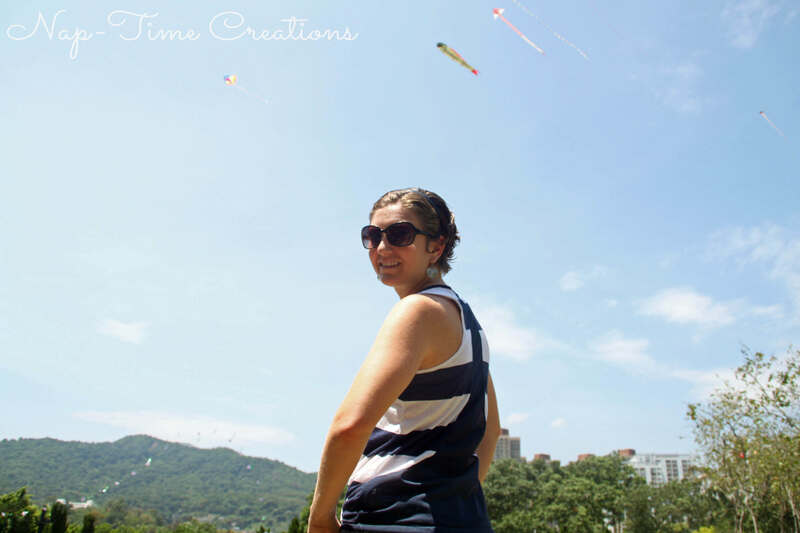 Earlier this spring I shared how I made this tank top, by copying my favorite tank. 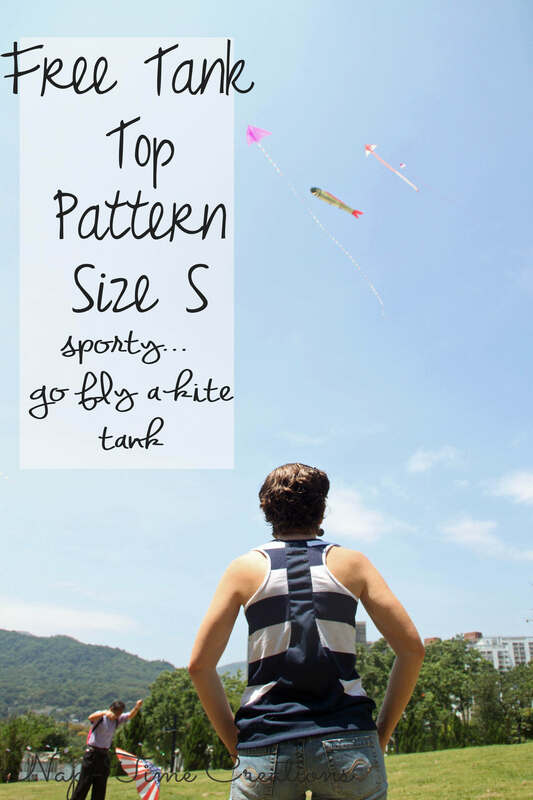 You can check out the full tutorial for making your own pattern from a tank here. 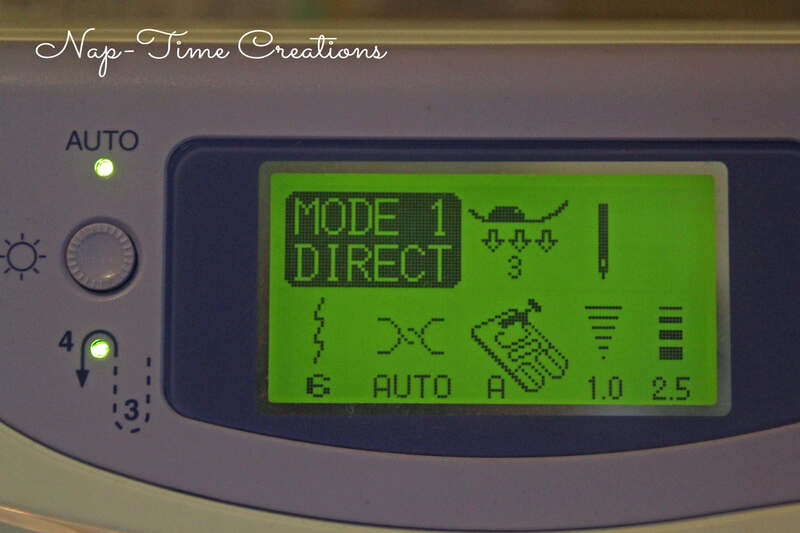 Join the LifeSewSavory Pattern Group for support on this pattern! 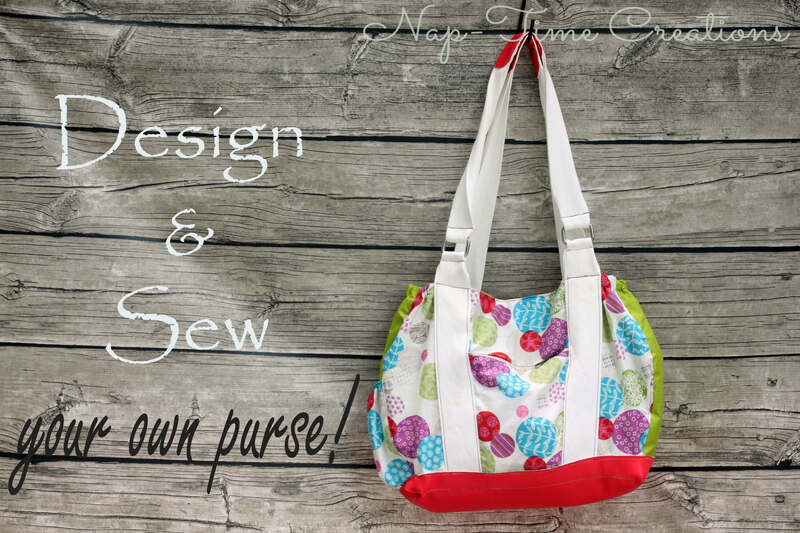 Make sure to check out all my Free sewing patterns here. This is the pattern I created from the first copying tutorial, only now you can print it and use mine! I’ve also included another option for the neck and arm edging as the first version was a bit thick. Go print the free tank top pattern here. here’s a quick look at the front. You will need a thin knit fabric for this pattern. 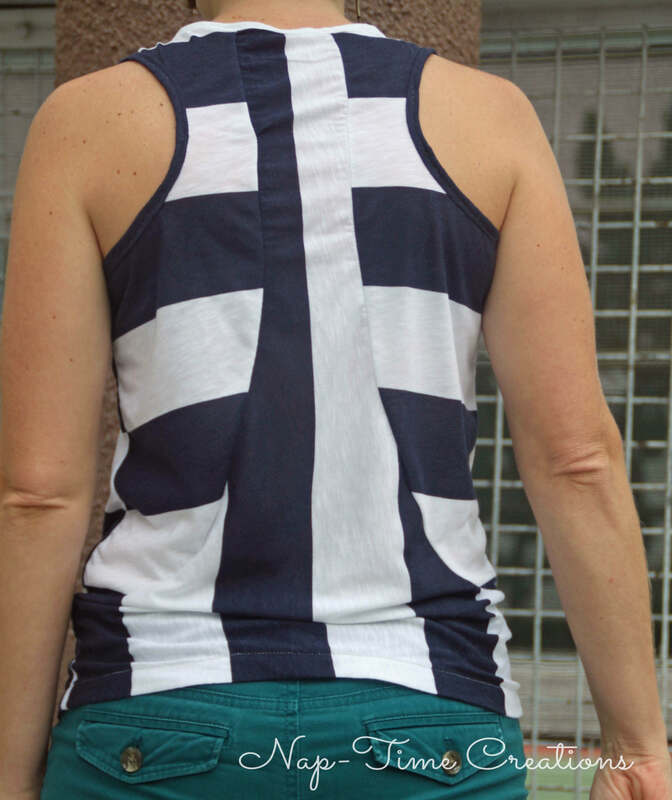 Stripes work the best because you can alternate the back panel like this. 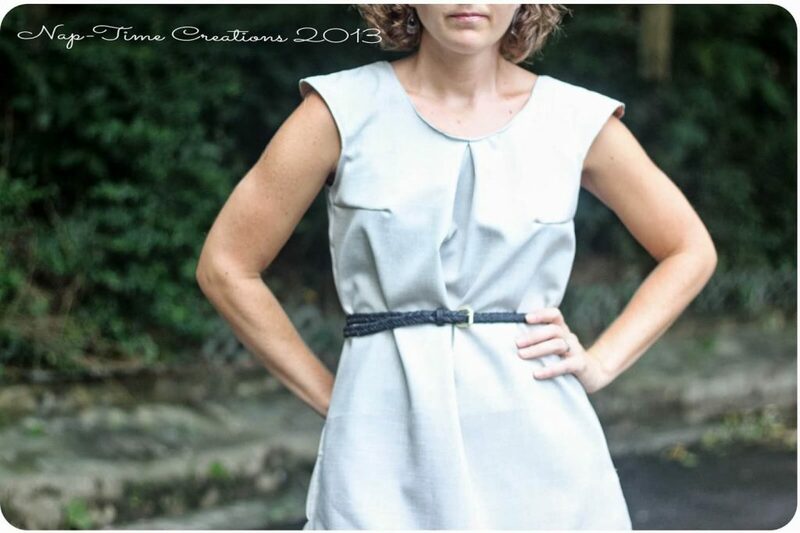 A narrow seam allowance is included in the pattern. 1/3 inch. For this second version I used a blue mesh for the back panel and I really like the way it looks. You can also use the same fabric too like the photo above. I didn’t take step by step photos of the tank assembly, but I will walk you through them. 1. Sew the back middle panels to the side panels, matching the neckline and side seams. You may have to stretch the middle panel just a touch to get it all lined up. 4. now we need to finish the neck and arm holes. You can see my version 1.0 here. This is a second edging option. 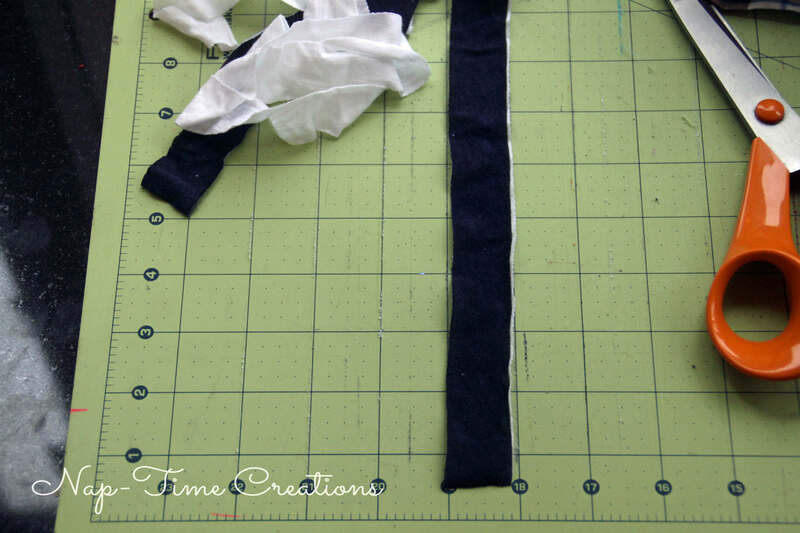 Cut 1 inch strips of fabric. 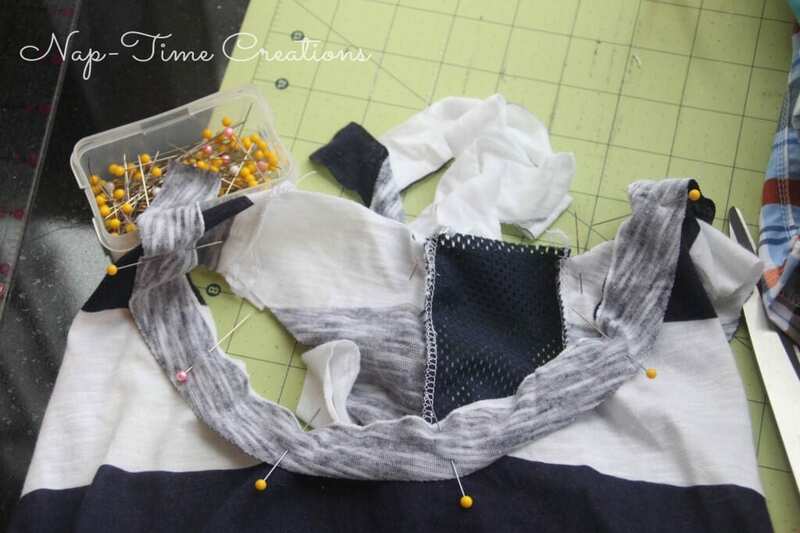 Pin to neckline right sides together, sew ends together where they meet in the back. 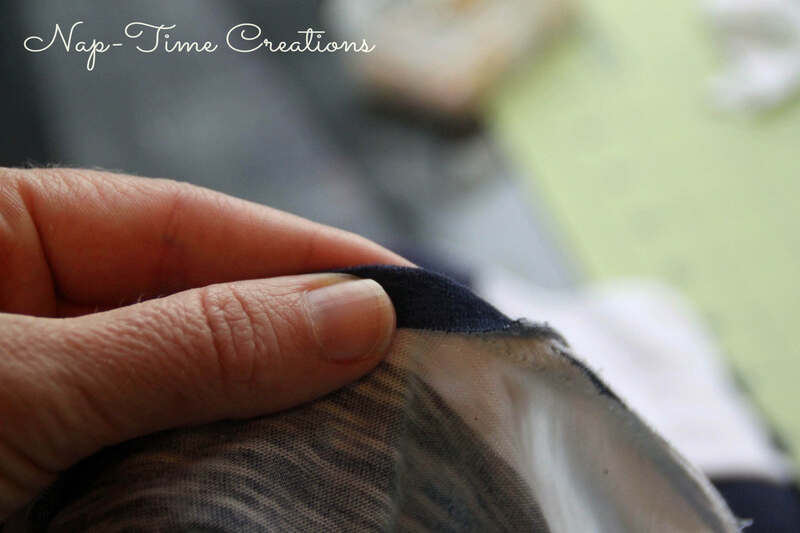 Sew around the edge with a zig-zag stitch or a knit stitch as shown below. It should look like a strange narrow zig-zag on your machine. This stitch allows for stretching and doesn’t pull as it sews. Once you have the edging sewn on turn to the wrong side of the tank and flip the seam allowance up towards the edging fabric. 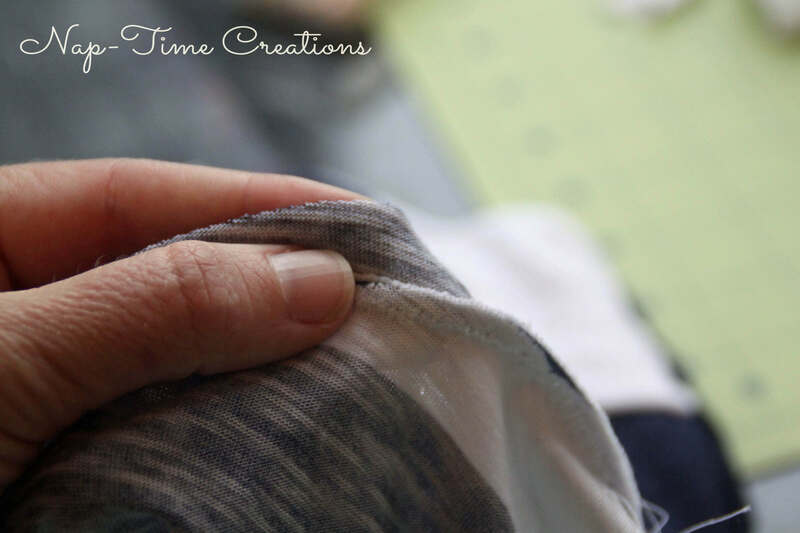 Now, fold DOWN the edging fabric over the seam allowance. This back side will have a raw edge, but the knit won’t really fray and this keeps the edge from getting too bulky. 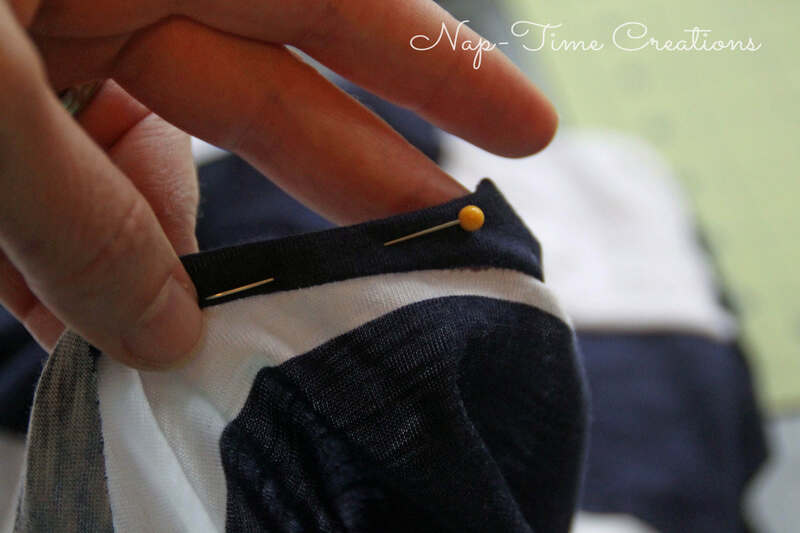 Pin around and sew from the right side of the tank. Again, use a zig-zag or knit stitch. That’s it! A fun and easy tank top, perfect for summer. Nice pattern, I like the panels at the back especially – thank you for sharing it. What measurements does it fit please? you can adjust easily to add or subtract a bit for this tank! 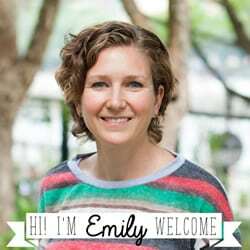 Looks great on you Emily. I love a classic navy & white stripe.